Dodge Cummins Diesel Forum > Specialty Forums > Electrical & Wiring > Small LED Light Bars. Ideas? Small LED Light Bars. Ideas? 2. Provide low, bright lighting to see the road through my front-mounted camera during hunting season, so I don't hit something or go in a hole. 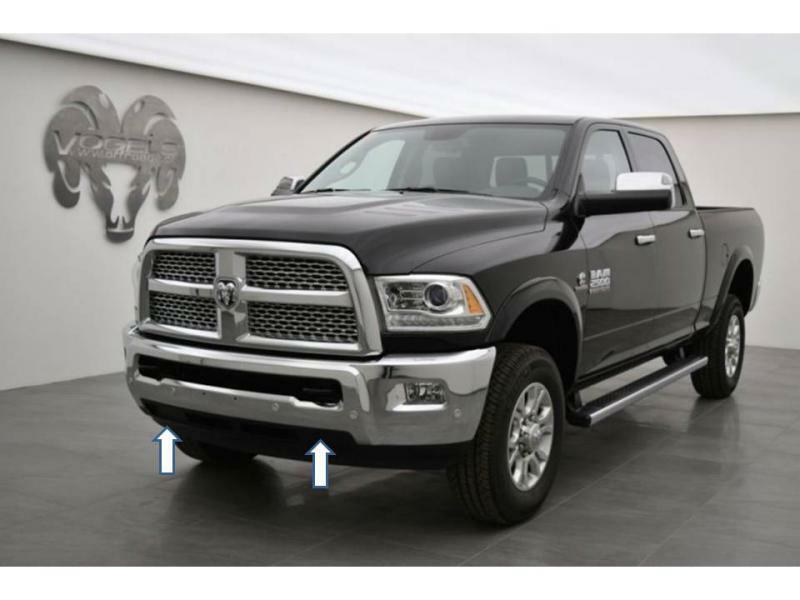 I'm thinking of putting them in the lower portion of the bumper (see arrows on pic), so there would be two lights, around 6" in length. It looks like I can mount them through the plastic there. I'd also wire them to one of my aux switches to be able to turn them off if I need to. I don't want a single bar LED. Just a preference of mine to have two separate lights.